"Elements Restaurant is excellent, as good as any we have visited in London. Wonderful food and pleasant staff 10/10." Traditional fine dining and great service and a touch of sophistication! With the best quality ingredients, hand-picked by our Head Chef David Jarrett, you are sure to get a quality dining experience on every occasion. 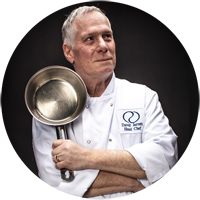 Our Signature menu boasts a wide selection of meat, fish, and vegetarian options designed by David, who has more than 35 years' experience working in five-star hotels, and has even cooked for the Royal Family at various functions. Restaurant Manager Javier Tejero will delight you and your guests with excellent personal service. Born in Tenerife, Javier's Spanish charm and 40 years' hospitality experience will make it a night to remember. The layout of Elements makes it ideal for all sorts of occasions, from an intimate dinner to a big birthday party. Private dining is also available. Elements is proud to serve Buccleuch Scotch beef, as served by Marco Pierre White at our sister property Alea Nottingham. You are welcome to pay with Total Rewards credits. Or remember to hand over your Total Rewards card when you pay to earn credits for future use. Available all day and great value for money. As the restaurant is situated in the casino building, diners must be 18 or over. ID will be required for patrons who appear to be under 25. Elements Restaurant is proud to be part of the Food for Thought programme. Just 99p added to your bill buys a tree to offset the carbon footprint of your meal. Our best chefs and bartenders have been busy preparing for our annual competition, where teams from all our UK Total Rewards casinos come together to compete for the top spot. Watch the video below for highlights of the day, including the winners.